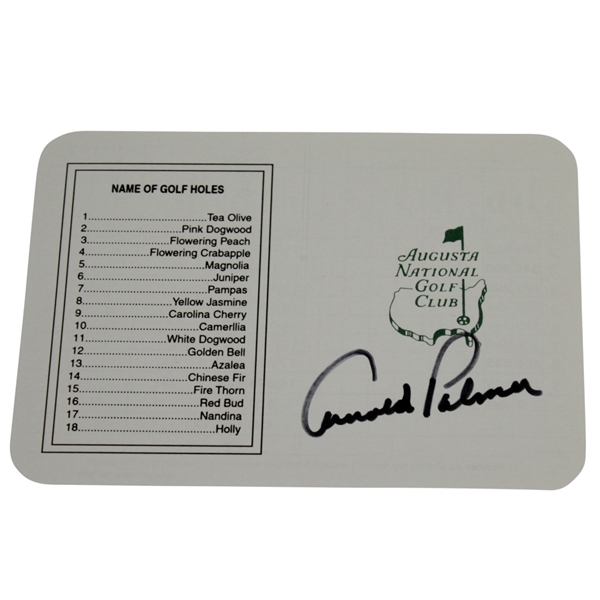 'The King' Arnold Palmer needs no introduction. 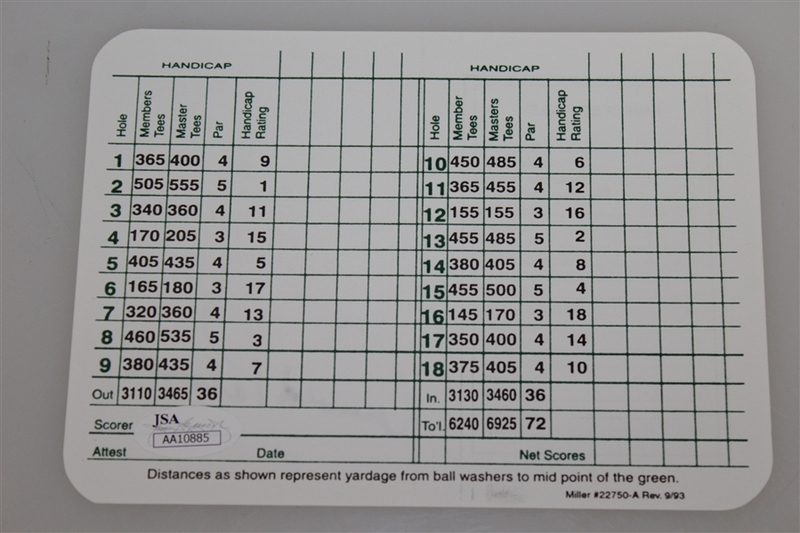 He took the golf world by storm in the 1960's and 70's. He won four Masters Tournaments (1958, 1960, 1962, and 1964) and earned 62 PGA Tour and ten Senior PGA tournament victories, and seven total major championships. 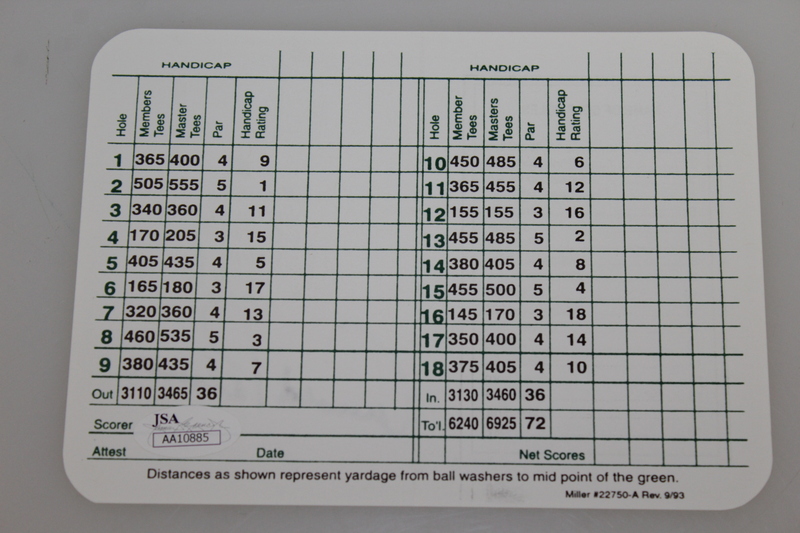 This lot features Arnie's signature on a Augusta National Golf Club scorecard. James Spence Authentication (JSA) has reviewed the signature and their card and matching sticker of authenticity #AA10885 come with the lot.